Finally, a superb and balanced biography of the enigmatic American religious leader. Independent historian Gill (with a doctorate from Cambridge; Agatha Christie: The Woman and Her Mysteries, not reviewed) spent years in legal negotiations with the Christian Science Church, trying to gain access to Mrs. Eddy’s voluminous correspondence. Her effort paid off: This is the best study to date of Eddy, surpassing other biographies which sought merely to debunk her as a charlatan and hysteric. 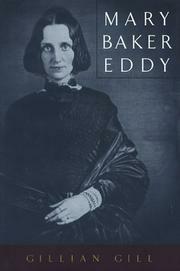 Gill offers a scholar’s concern for placing Mrs. Eddy in the context of 19th-century American women’s history. She claims that Eddy has been misunderstood in part because she subverted the well-worn pattern of Victorian female life: —She was conventional in her twenties . . . [and] weak in her thirties, but indefatigably working in her sixties, famous in her seventies, [and] formidable in her eighties.— Excessively shrewd in her business dealings and distant from her only son, Mrs. Eddy embodied qualities usually assigned to Victorian men. And Gill’s portrait of her is hardly all sweetness and light. She discusses Mrs. Eddy’s almost cruel dealings with some of her closest disciples, her increasing paranoia as a superannuated recluse, and her tendencies to —borrow— (plagiarize) ideas from mentors like Phineas Quimby. Even so, Mrs. Eddy emerges from Gill’s warts-and-all treatment as a transcendent and powerful figure worthy of respect from the most ultra-orthodox Christian Scientist. If there’s any flaw here, it’s that Gill could have done more to explore19th-century religion. For example, she quotes from a letter in which the young Mary wrote of her adherence to a strict Grahamite diet. Gill never explains the origins or trendiness of Graham’s reforms, and assumes (probably wrongly) that the adolescent Mary was a borderline anorexic. In all, though, a genuine achievement. THE CHRISTIANS’ GOD DOES NOT EXIST! by Proncell F. Johnson Jr.